Like the Lewis and Clark Expedition (1804-1806) and the Apollo 11 mission to the moon (1969), Powell’s epic adventure defines the American spirit. His story comes to life in a fresh way through this beautifully-illustrated map, honoring the man who inspired—and- continues to inspire—a restless country determined to thrive come hell or high-water. Major John Wesley Powell was a U.S. soldier, geologist, director of major scientific and cultural institutions, and an explorer of the American West. Powell served with the Union in the American Civil War where he was a cartographer, topographer, and military engineer. It was during the Battle of Shiloh that he lost most of his right arm when struck by a minie ball while in the process of giving the order to fire. Of the ten men that started out from Green River Station, six completed the entire journey. About a month into the journey, one of the men, an Englishman named Frank Goodman, approached the Major saying “I’ve had more excitement than a man deserves in a lifetime. I’m leaving.” Goodman was able to walk to a nearby settlement and lived out his life hunting, trapping on and near the Ute Reservation, and later raising a family in Vernal, Utah. The other three adventurers to leave the expedition fared worse. On August 28, just two days from the expedition’s intended destination at the mouth of the Virgin River, Oramel Howland, his brother Seneca, and Bill Dunn left the expedition, fearing they could not survive the dangers of the river much longer. They hiked out of the canyon and were never seen again. On August 30, Powell and the five others reached safety at the Mormon settlement of St. Thomas near the mouth of the Virgin River. Two of my photographs of the Colorado River were used to illustrate this map. 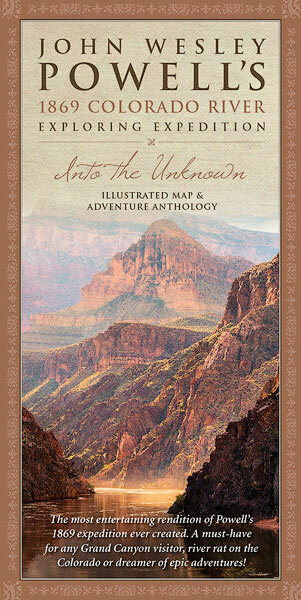 Morning in the Granite Gorge was used on the cover, and Sunset near Clear Creek was used in the interior of the map. Your order is shipped via the US Postal Service Flat Rate shipping. The cost of shipping will be calculated in the cart. Contact us directly before placing your order if you require expedited shipping. Please allow 10 to 15 business days for delivery. Shipping is only available in the USA. 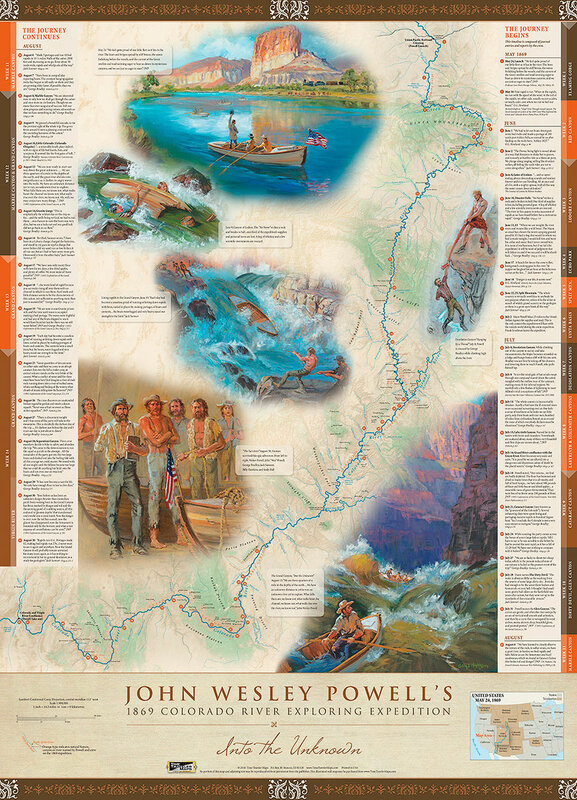 The John Wesley Powell 1869 Colorado River Expedition map and adventure anthology. 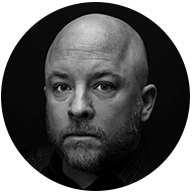 Adam Schallau is an internationally recognized photographer. His work has been published on the covers of many magazines and books including Arizona Highways, Cowboys & Indians Magazine, and New Mexico Magazine. All material © copyright by Adam Schallau. All rights reserved. Site by WideRange Galleries.